Looking for local electricians? 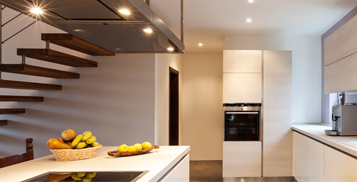 Since 1985, PRF Electrical has been delivering quality residential, commercial and industrial electrical contractors and electrical services across the Perth metro area, and around Western Australia. Across Western Australia, PRF Electrical provides competitive, quality electrical services for business, commercial, retail and light industrial clients. From shopping centres to local stores, from offices to factories, our service is safe and reliable. 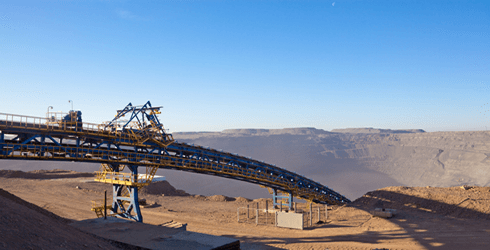 Our mine site experience in shutdown maintenance and project work covers every aspect of industrial electrical services, from lighting, to power delivery and control, pump systems, machine control and electrical motor maintenance. Subcontract or project based, PRF has the skill and commitment to do the job safely and quickly. In your home or rental property we can provide just about all of the electrical and communication requirements you may need. Our electricians are ready to service your property in a timely and safe manner and for your peace of mind our 24 hour emergency electrician is available anytime to keep you connected. PRF Electrical offer a personal and specialised service for commercial electrical Perth office & retail fit-outs, and shopping centre maintenance. We can help you with lighting replacement and repairs, tag and testing, switchboard installation and repairs, Optic Fibre & Copper Data cabling and certified testing. Our 24 hour emergency electrician will keep you connected year round. Industrial electrical services include but not limited to factory and shed lighting, power, control, and refurbishments. pump systems, machine control systems, electric motor maintenance, and generators. In mining services we provide experienced, qualified electrical, data, and diesel fitting labour services. PRF Electrical is your local electrical contracting business, providing electrical services to home, business, industry and mining customers anywhere in Western Australia. Our Electricians are fully licensed and we are fully insured, offering a guaranteed fully compliant, safe and professional service. From replaced and additional power outlets, to light fittings, electrical installations and repairs, to major rewiring and commercial and industrial projects, PRF Electrical will put the spark back in your life affordably, reliably and promptly. Don’t become an electrical statistic! When electrical issues arise in your home or business, you may be tempted to fix the issue yourself to save money. Unfortunately this can lead to catastrophic results, with an average of 300 hospitalisations and 15 deaths each year in Australia as a result of electrical work done by unqualified people. And the risk is not just to the unqualified person working with electrical networks – a bad job can leave your family and business at extreme risk. Be safe! 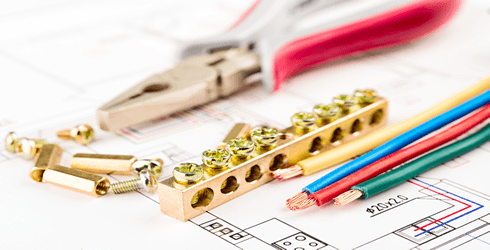 Always use a fully qualified and licensed electrical contractor to do any form of electrical work. Contact PRF Electrical now for an obligation free quote. All PRF Electricians carry certification, so you’re assured of a qualified tradesman. Where Electrical work requires a permit from the local departments, including Western Power, PRF Electrical will arrange them, providing another layer of convenience to you. Its no secret that working with electricity is dangerous. You need to call a professional, even if you think you can do the job yourself. Even if you don’t get hurt during the process, an electrical job completed incorrectly causes massive safety concerns in your home and business, including increased risk of electrical shocks, fires and electrocution. We approach troubleshooting professionally, your safety and satisfaction is guaranteed – there is just no reason to put yourself and your family or employees at risk. Circuits that are poorly designed or repaired run the risk of delivering the wrong voltage to your expensive appliances and damaging them internally. This can be as simple as burning out motors, or as complicated as the gears that keep the alliance ticking. A faulty job could cost you a lot more than you save by doing the job yourself, and when you choose PRF, our work is guaranteed. You won’t get in over your head. One of the greatest risks of trying to do it yourself when dealing with electricity is that one mistake could easily lead to your entire electrical network needing repair. There are plenty of intricate systems at work, and hiring a professional assures that you don’t create a more complicated problem that creates a more expensive repair. We have worked with PRF for many years and continue to enjoy their professionalism in all that they do. When we moved office they worked industriously over the weekend to ensure that we were up and running without interruption for the working week. We highly recommend the team and personally look forward to many years of continued collaboration. We work with hundreds of businesses and individuals, give us a call – we’d be happy to add your name to our list of satisfied customers.